Okapi is a pocket knife and hand-tools manufacturing company based on the North-East coast of South Africa. Supplying the dark continent of Africa with affordable, highly durable and functional knives and agricultural tools for 112 years has been no small task but accomplished with much success. With such a wide range of environments and conditions to factor, from the arid savannahs to the thick, tropical jungles, Okapi products can found taming the wild in all of them. From forestry and fire control implements to machetes to sugar cane knives, Okapi covers the gamut to be a one stop shop for all needs. 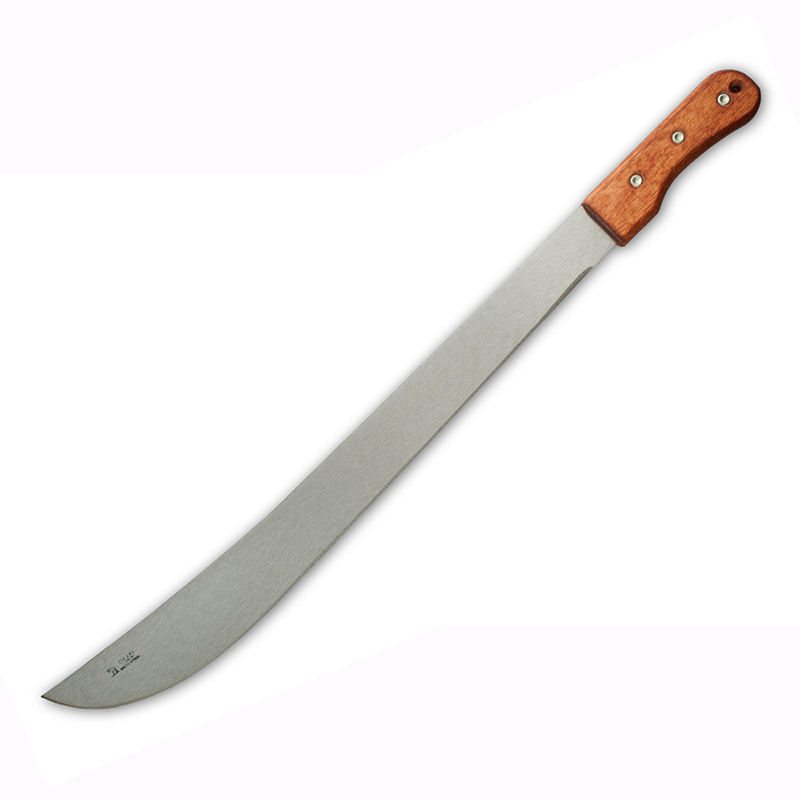 No one dares to go out in the bush without an Okapi machete. With blade sizes from 13” for those tight, confined thickets or 24” blades for tall grass and weeds in those wide open spaces, Okapi offers a broad selection of sizes and handle materials. Our Okapi Machetes feature a matte 1055 carbon steel blade on a stabilized wood handles. The recessed rivets and beveled slabs prevent rubbing your hands raw. The handle features a prominent lanyard hole for securing via lanyard (not included) or easy merchandising. Blade lengths range from 13” to 22 1/2” and are priced from $11.99 to $15.99 each MSRP. 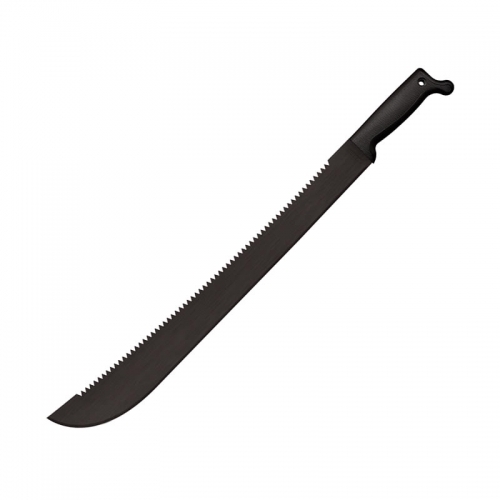 Key Features: 22 3/4″ Matte 1055 carbon steel blade Wood handle with recessed rivets and beveled edges Economical and durable SPECIFICATIONS Overall: 29″ Blade Length: 22 3/4″ Handle Length: 6 3/8″ Weight: 1 lbs 4 oz Blade Steel: 1055 Handle Material: Wood Specs will vary slightly from piece to piece.